For Revelry, their first restaurant outside of Seattle, Yang and Chirchi partnered with Eric and Karen Bowler, owners of popular Portland lounges Fortune and Tube. As the name implies, a meal at Revelry is similar to one at Revel—only the fun can be turned up a notch and continue late into the night if desired. 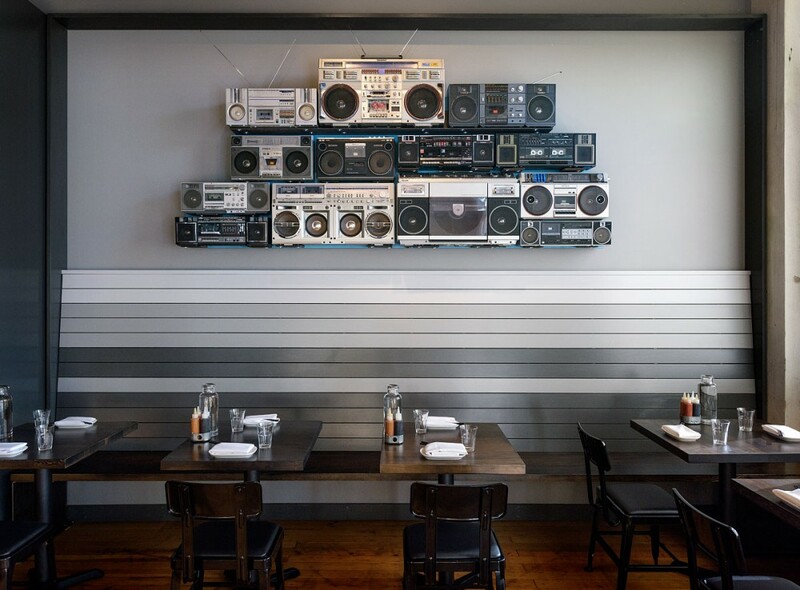 The restaurant’s celebratory atmosphere includes curated playlists and live DJs spinning records. In addition to classic Revel dishes such as Kimchi pancake with pork belly and Dungeness crab with seaweed noodles, Revelry offers small, shareable snacks, perfect for a long night spent lingering over cocktails and good music.